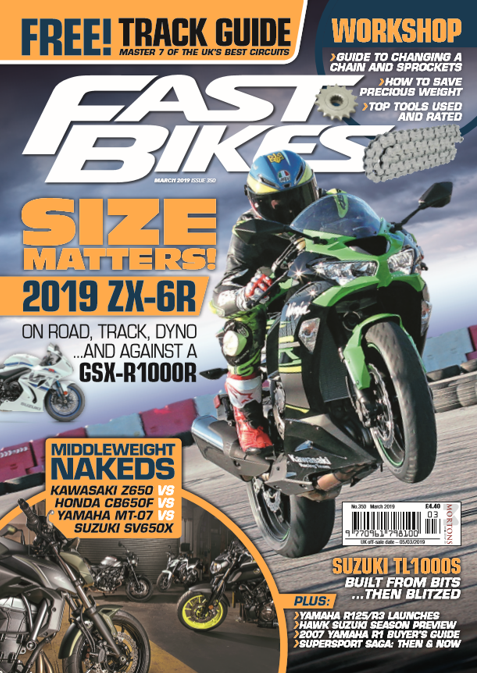 • Size Matters – We give Kawasaki’s new ZX-6R its hardest test yet, with an epic road trip and track test against one of the best litre bikes in the business, to see if size really does matter. • Middleweight Nakeds – Are they the best mix of power and price for a hoon? We pitched four of the best against each other to find out for ourselves. • Suzuki TL1000S – Is the ‘Widow Maker’ as mental as we all remember? There was only one way to find out. 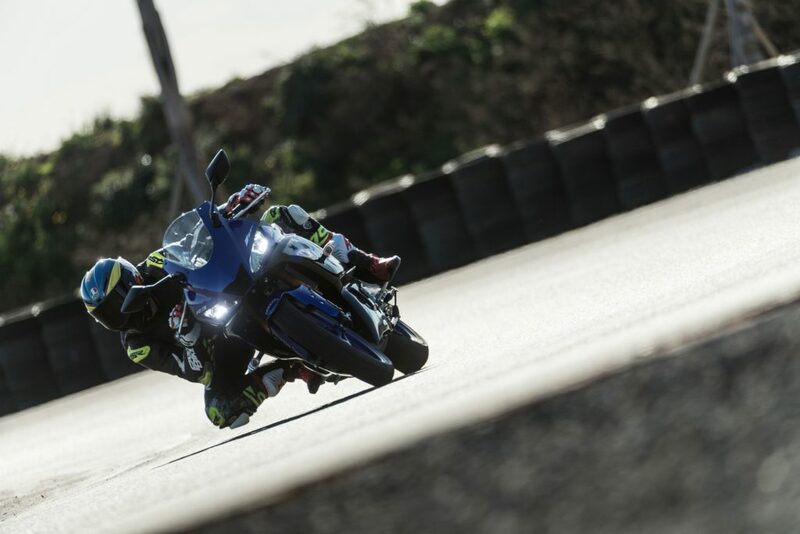 • Yamaha’s Miniature Maestros – Pretty Boy samples Yamaha’s new entry level sportsbikes, the R3 and R125 on track and on road. • Supersport Revival – There’s a resurgence on the 600cc scene and we look at why. • Track Bike Builder – Dangerous talks you through building a lean, mean racing machine. • Workshop – This month we show you the best way to change your chain and sprockets, everything you need to know about coolants and the best tools in the business. • Hawk Racing – We go behind the scenes with the BSB heavyweights to get the lowdown on running a successful race team. • Plus loads more great views, reviews and features.